There are just three ingredients in sourdough bread; flour, water and salt. It is the starter, however, which is the key ingredient. A spongy blend of wild yeasts is cultivated over time, and fed to keep it alive and active. The starter contains lactic and acetic acids, which ferment the dough and give sourdough bread its unmistakable tangy flavour. The action of the acids makes sourdough more digestible and nutritious than other types of bread. They make the vitamins and minerals in the flour more absorbable by neutralizing phytic acid, which would otherwise interfere with this process. Phytic acid can be a cause of bloating as it inhibits the enzymes needed to break down proteins and starch. Sourdough bread and its wild yeast and lactobacillus neutralise the phytates, making it easier for us to digest. In fact, the long fermentation process can reduce phytates by up to 90%. The acids in sourdough bread are also being proven to be good for those suffering from or trying to prevent the onset of blood sugar disorders. They affect the glycaemic index of the bread by slowing the rate at which glucose is released into the bloodstream, avoiding spikes in insulin. The confusion with sourdough bread lies in its benefits, or lack of them, to our gut bacteria. 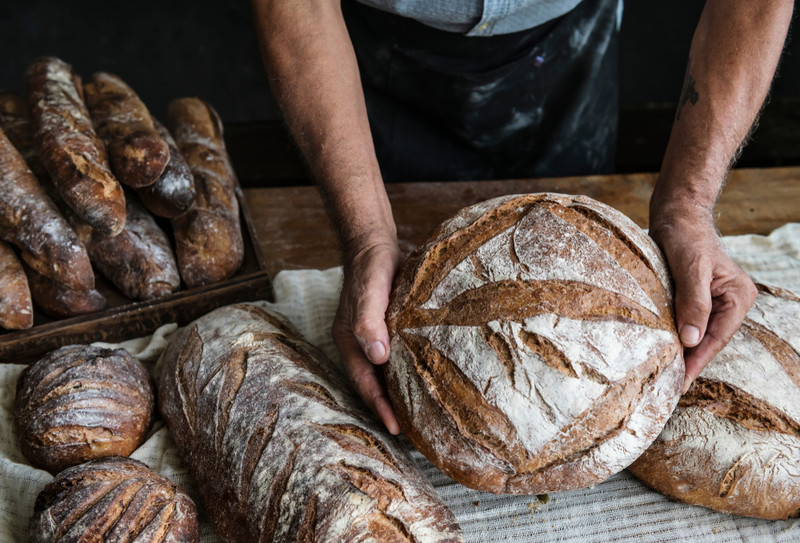 While it is true that sourdough bread is made with lactobacillus, a beneficial strain of bacteria, the cooking process destroys those bacteria. So while there are undoubtedly health benefits to choosing a nice crusty loaf of sourdough bread over bread made with yeast, probiotics aren’t one of them. The 120-year-old Canadian starter has now been entered into a library of yeast specimens from around the world, collated by a Belgian baker. As we begin to revert to the traditional ways of cooking our food, it is these time-honoured examples and traditions that will show us the way. The comeback of sourdough bread is well underway.